Your East Coast Australia tour experience starts in Australia's Harbour City, the glittering jewel in the east coast's crown. 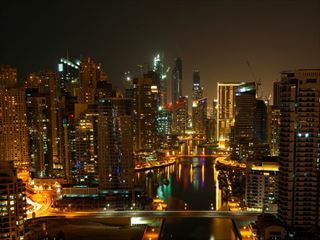 Make your own way to our hotel, check in at reception, relax and get some sleep: the adventure begins tomorrow. Meet your guide early this morning around 7am for a tour briefing, before hitting up a local café for breakfast. 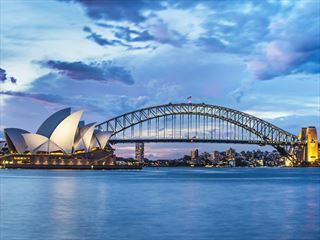 Then, set off to explore some of Sydney’s most beautiful spots on a walking tour, taking in the Sydney Harbour Bridge and the Opera House. Hop on the ferry to Watson’s Bay for lunch (fish and chips! ), then walk along the towering coastal cliffs – keep your eye out for dolphins swimming below. 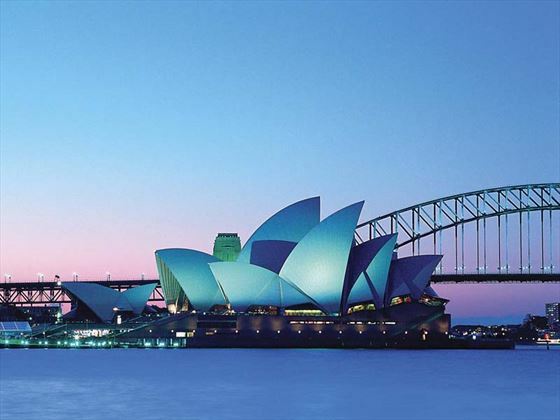 Return to the CBD for dinner and a chance to indulge in some of Sydney’s famous nightlife. Leave the hustle and bustle of Sydney behind for the chilled out Hunter Valley. Our own personal wildlife ranger will point out koalas and kangaroos as we make our way to a gourmet lunch – yes, there will be cheese, and wine, and chocolate (the Hunter is famous for it!). Visit Newcastle for an evening of live music. After breakfast, hit Lakes Way for a coastal walk, then climb up to the lookout for exceptional views across the water. 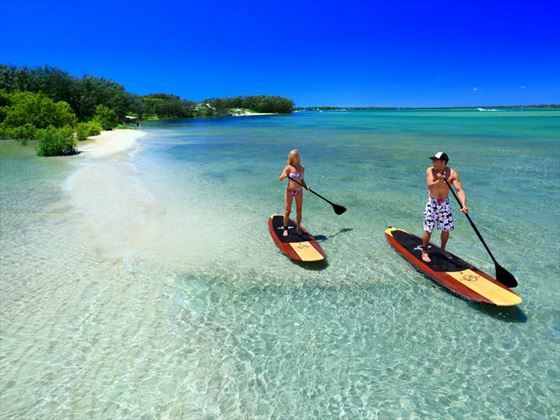 In your free time, perhaps stretch out on the beach (don’t forget the sunscreen) or, if you’re feeling more adventurous, hire a stand-up paddleboard or kayak, or just enjoy a swim. In the afternoon, continue on to Port Macquarie for a sunset cruise. 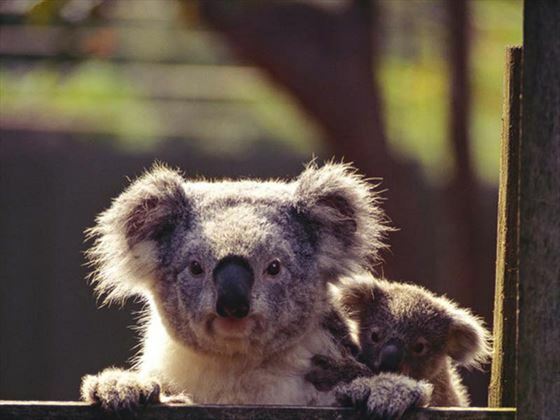 Meet the fuzzy patients at the local koala hospital, then travel to Dorrigo National Park, an area famous for its lush rainforest and waterfalls. End the day in true Australian style – at a traditional Aussie pub. 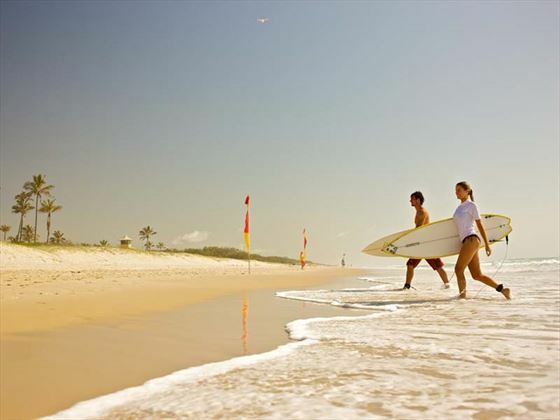 Splash about in Dangar Falls, then head to the laid-back surfer hub of Byron Bay. Visit the local lighthouse for photos, and keep your eyes open for a chance to spot dolphins and whales frolicking off the coast. It’s a free day today. Perhaps start the day with a swim in the ocean, indulge in a massage, or stretch out your limbs at an optional yoga class. Visit an organic farm, where we’ll pick our own veggies and herbs for a healthy lunch, then the rest of the afternoon is yours to enjoy. Explore the world’s largest sand island by 4WD! Swim, walk and play in this wild wonderland, before heading back to Noosa for the evening. Fly to beautiful Airlie Beach in the Whitsundays. When we arrive, enjoy free time exploring, swimming, or relaxing with a cool drink in a local bar. Keep your camera at the ready as we hit the water on a leisurely day cruise around the perfect islands of the Whitsundays. 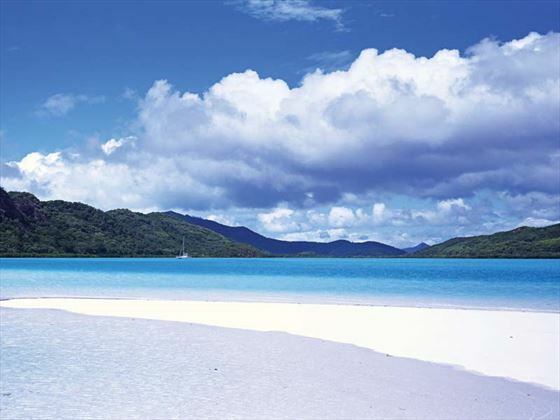 Stop at the famous Whitehaven Beach, then snorkel amid coral and colourful fish, or just kick back on the boat. It’s a slight change of pace today as we board a train and travel through cane fields to Tully. Meet an Indigenous family who’ll take us to a beautiful swimming hole in the rainforest. Learn about bush tucker in the Tully Gorge National Park, then prepare traditional food and set up a campfire, before getting the chance to see some more iconic Australian animals on an evening spotlighting tour. After breakfast in a local café, travel into the wet, steamy tropics of FNQ. Take a refreshing dip in a waterfall before heading to Lake Eacham, a crystal-clear crater lake. Visit the massive ‘Curtain Fig Tree’, then continue on to Cairns. 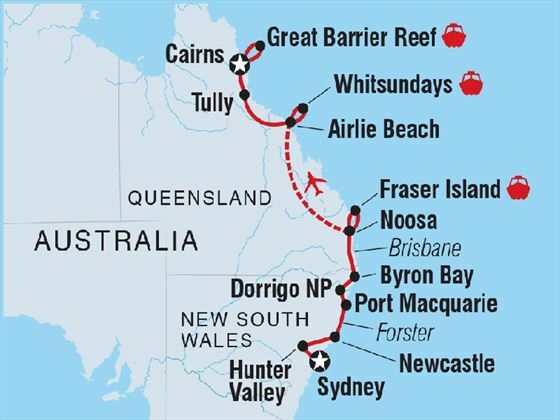 A trip to Australia isn’t complete without a visit to the Great Barrier Reef! Cruise around the reef, go snorkelling and learn about the efforts being made to conserve this incredible world wonder. In the evening, enjoy a farewell dinner with your travelling companions in Cairns.